If you are preparing to move, your household appliances can be the biggest and most expensive things you’ll be packing. Just like anything else, they are subject to damage. If you are going to be moving your appliances from one home to another, or just merely placing them in storage, you will need to know how to keep them in good working order, so they still have a life for many years to come. Every appliance will have different and unique moving requirements. Moving your washer and dryer will be different than transporting a refrigerator. It is essential to prepare your washer and dryer ahead of the move, to ensure the least amount of damage. Your user manual should have specific instructions for transporting and storing your appliances. 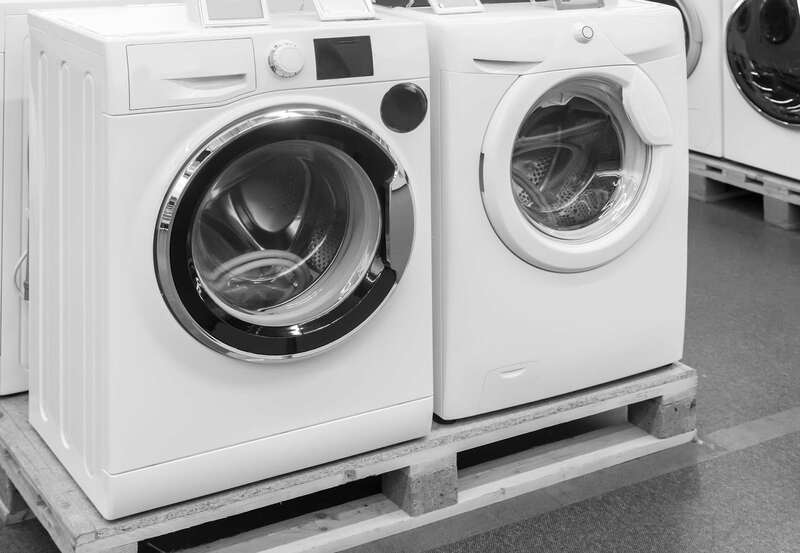 Below are some tips to assist you while preparing, moving, and storing your washer and dryer. You want to start preparing your washer and dryer for the move a week before. Transporting a musty washing machine is not good. Put it on a rinse cycle with either a homemade solution or packed washer cleaner. Once the cycle is complete, leave the lid open to help it dry out. Then shut off both hot and cold-water valves connected to the washer. 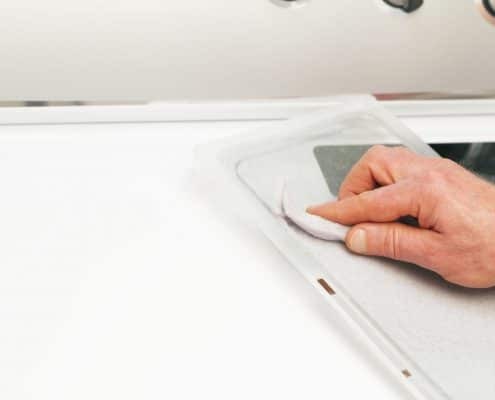 Vacuum your dryer’s lint trap out. You should be doing this often as it maintains the efficiency of your dryer and prevents house fires. 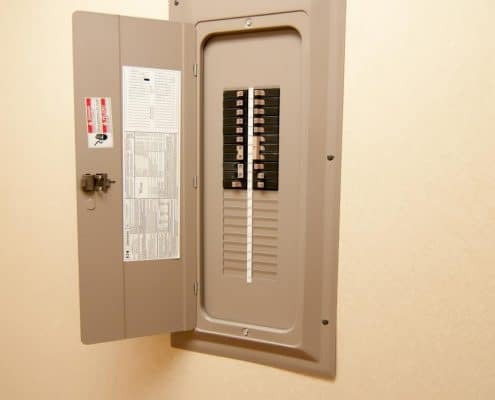 While preparing to move the washer and dryer, you want to make sure that you safely disconnect the electricity by shutting off the power at the breaker box. If you’re unsure of which ones connect to the appliances, shut off the entire house’s power before attempting to move. 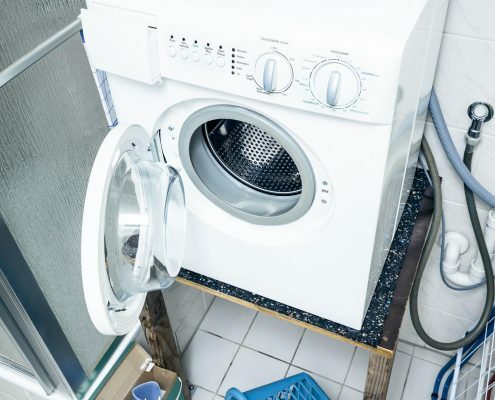 Secure electrical cords to the washer and dryer with tape to keep them from getting snagged on anything or causing you to trip while carrying the machines. Detach the hoses from both the washer and wall. You will need a cloth to catch any dripping water and a wrench to loosen the hoses. Give them time to dry out to prevent mold and mildew from growing, then place them in a trash bag or grocery bag inside your washer. These steps prevent you from losing them during your move. If your dryer is gas, you’ll need to shut it off and detach the line that’s connected to the dryer. Make sure to shut the gas off before taking off the line. It’s imperative to keep harmful gas fumes from escaping into your home. If you don’t trust yourself, it’s best to consult a professional. Not sure who to contact? Click here to check out the deals we might have in your area. Similar to the lines and hoses, keep your hookups and connectors to your vents in a safe location until your dryer arrives at the destination. Place them in the dryer in a bag, just like the hoses, to prevent you from misplacing them during the move. If it’s been a while since you’ve cleaned your vents, now would be a good opportunity to get it done. Clean them with the extensions on your vacuum or dust buster. Cleaning the vents and traps will ensure that your dryer gets a fresh start the next time it’s hooked up to use. Securing your washing machine drum is extremely important. The drum is the part of the washer that spins, and it’s composed of several moving parts. During the move, if it’s jostled around too much, some of those pieces can loosen and cause significant damage to the appliance. Shipping bolts will assist in securing it and preventing excess shifting. Certain new washers are accompanied with shipping bolts, however, if you don’t have them, look online for your washer’s specific screws and where to place them. Wrapping your washer and dryer with moving blankets and securing them if moving tape can prevent them from getting dinged and scratched. If you don’t have moving blankets, extra padded ones like quilts will also work. Shrink wrap can be used instead of moving tape, just make sure not to use a tarp, because humidity under the tarp can cause the perfect environment for the growth of mildew if there is water left over in your washing machine. Make sure you have strong help with moving your washer and dryer. Transporting heavy appliances is never okay to do by yourself. It could cause severe injury to you and damage to the large, expensive washer and dryer. Have the proper equipment ready. Of course, you need a truck or transport vehicle prepared to move the washer and dryer, but consider the things that would assist in the moving process such as dollies and gloves with a good grip. Forearm forklifts can be extremely useful, depending on the complexity of your move, especially if you must carry the appliances up or downstairs. Appliance dollies are also helpful tools to have when moving your washer and dryer. Just make sure to take your time. Rushing through it can cause harm to yourself and your appliances. Depending on the amount you’re moving and what kind of truck you’re using for the move will determine how to place your washer and dryer. If you’re using a moving vehicle, think about the distance and how complex the journey is. It’s usually better to load your heavy appliances towards the cab of the truck to even out the weight distribution. If a pick-up truck is what’s being used to transport the machines, invest in ratchet straps to secure the washer and dryer down and prevent it from sliding or bounce around. Once you arrive at the new home, don’t rush to get your washer and dryer exactly where they’re going to go and up against the wall. Leave them out a few feet because you still must hook everything up before using them. Moving heavy appliances can be tricky and be challenging to do, but with these tips and the help of reliable and willing friends or family, you can complete the job in no time.